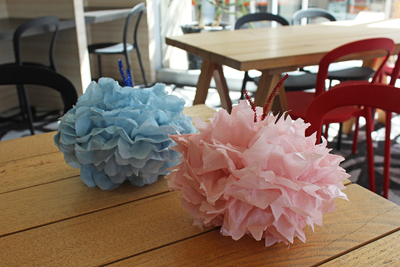 Tissue paper pom poms have become all the rage, whether they're for parties, home decor, or even weddings. They look great, they're cheaper than going out and buying decorations, but best of all they're very easy to make at home. First you'll need to lay out your tissue paper, if you've got particularly large sheets you might want to cut them in half. Think roughly the size of an A4 sheet of paper. It's good to have between 8-12 sheets. 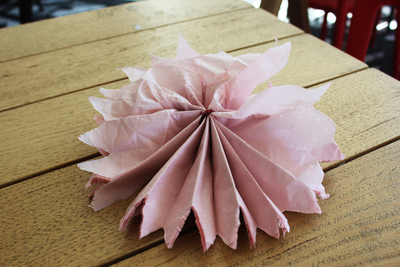 Fold the tissue paper using an accordian fold. Once you're done it should resemble a fan. 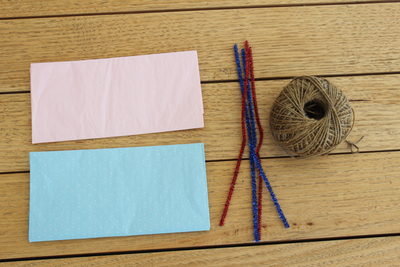 Keep it flat, and use a pipe cleaner to secure the fold in place around the centre of the paper. Cut both of the ends either in a triangle or round shape. 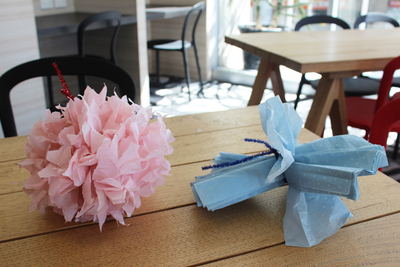 Each cut will give the final pom pom a different look. The triangular cut gives it more of a floral look, while the rounder shape gives you soft ruffles. Open up the folds so that the ends touch each other. It doesn't matter if they don't unfold fully, once you've finished you'll be able to fluff up the pom poms once you're done. 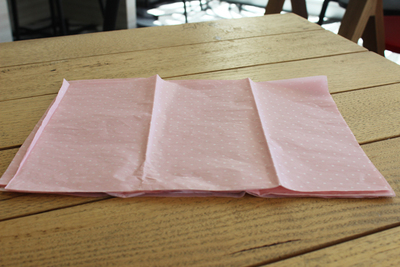 Layer by layer, start separating the sheets of tissue paper. Be careful because they're quite fragile, but don't worry too much if you get a few tears. Once you're done fluff up the pom pom to make sure all the layers are evenly separated. You can tuck away the visible pipe cleaner so that it's hidden by the layers, and then use string to hand them up wherever you like. 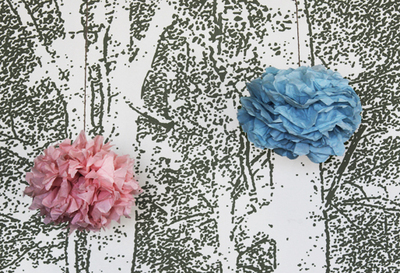 Tissue paper pom poms are simple, but elegant. Set them up behind a food table, or hang them from the ceiling, they can even look great as a more permanent fixture in a bedroom. 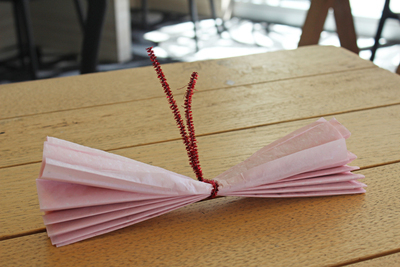 If you make these at home share a photo and let us know what you're using them for.